The 12 February 2019 annual OICA General Assembly, in Paris, elected Christian Peugeot, as the new president of the world automotive industry association OICA (Organisation Internationale des Constructeurs d’Automobiles) succeeding Matthias Wissmann, former president of the German association of the automotive industry (VDA – Verband der Automobilindustrie). Christian Peugeot, current president of the French automotive industry association (CCFA – Comité des Constructeurs Français d’Automobiles), takes the presidency on the centennial of OICA which was celebrated on February 13 in the presence of the President of the French Republic Emmanuel Macron and worldwide car manufacturers. Christian Peugeot stressed the importance of the auto industry for the global economic growth: “As the new president, I would like to warmly thank all OICA members for coming to Paris to celebrate 100 years of working together to continuously move the automotive industry forward. Their presence testifies to the importance of the automobile, which is essential for the mobility of citizens as well as for the economy of a country. The world association OICA was founded in 1919 and gathers 39 national trade associations around the world, including all major automobile manufacturing countries in Europe, America, and Asia. OICA is the only non-governmental car and truck manufacturers’ organization accredited to the United Nations and represents the technical interests in international institutions and organizations. The OICA activities contribute to the worldwide diffusion of technology, experience and know-how, to the benefit of all countries. OICA coordinates the global harmonization of vehicle regulations. The member countries are committed to the improvement of road safety and environmental protection, and they actively contribute to the global harmonization of technical regulations and standards. OICA also collects and publishes international statistics and coordinates the yearly calendar of Motor shows all over the world. May I welcome you very warmly to the OICA press conference here at the Geneva International Motor Show. Before I come to the current topics, please allow me to introduce OICA and its activities. OICA, the International Organization of Motor Vehicle Manufacturers, has 39 members, spread over all continents. The members are all industry associations and include the European Automobile Manufacturers’ Association (ACEA). All the major OEMs from Europe, Russia, the US, China, Korea, Japan and India – to take just a few examples – are represented in OICA by their national organizations. Of course the most important task is drawing together and communicating the interests of the automotive industry worldwide. Last year economic growth speeded up all over the globe. Despite many political uncertainties and economic risks in many countries, expansion was visible on a broad front as 2018 kicked off. This is shown by the growth rates in both advanced and emerging economies. The US economy continues its upswing, and Japan is experiencing the longest period of growth for over a decade. Europe is also recovering. The labor markets in the major economic areas are showing healthy growth. This upturn is supported by the expansionary monetary policy pursued by many central banks for several years. The emerging economies also have positive developments. The Chinese economy continues to grow, and India kept up its rapid recovery last year. The recession has bottomed out in Brazil and Russia, which have returned to the growth zone in proportion to the rising prices of raw materials. Developments on the automotive markets should be seen against this background. The latest OICA statistics clearly show that the worldwide automotive industry is still on its growth path. The global vehicle market has expanded for the eighth year in succession. In 2017 it added 3 percent and come to 96.8 million motor vehicles. This figure includes passenger cars, commercial vehicles and buses. Global production showed a similar trend (+2 percent). According to our estimates, this development will continue. For 2018 we expect more worldwide growth, but slightly less dynamic. Our forecast is that the global automotive market will increase by around 1 percent, reaching almost 98 million units. The global passenger car market alone is also expected to add about 1 percent, to 86 million new vehicles in 2018. A look at the situation in the individual regions reveals a range of different developments. NAFTA has eased off somewhat after seven years of growth. Production and sales remained a little down on their very high 2016 levels. South America is recovering, although production and market volume are still a long way below earlier values. But the markets have turned around. In Europe the positive development of recent years has continued. In 2017 both production and sales recorded their highest values since 2007. Asia continues its growth story. Since 2005 production and sales have more than doubled, and last year the trend remained unbroken. The African automotive market still has a very small volume and is accordingly subject to greater fluctuations. Production in Africa rose for the eighth year in succession, also starting from a low baseline. This brings me to the trade issues that are more important to OICA today than they have been in the past. International competition between OEM is tough, but they still come together under the global umbrella of OICA because the automotive industry is a key sector all over the world. This applies equally to many industrialized countries and to many emerging countries. Economic growth, employment and prosperity are always closely linked to growth of the automotive markets and production. There is no country in the world that can fully satisfy the many and varied automotive demands of its citizens from its own production. And of course every country with its own vehicle production aims not only to supply its home market but also to increase its exports of automobiles and parts. For this reason, free market access and the elimination of trade barriers are so very important to worldwide growth, employment and prosperity. Experience shows that on all markets anywhere in the world, stable direct investment and free trade belong together like two sides of the same coin of sustainable economic activity. No matter whether you’re talking about North or South America, Europe or Asia: local production makes sense in the medium and long term only if export opportunities are not curtailed. And that also applies to the whole value chain: every efficient automotive economy needs a worldwide system of suppliers. OICA has therefore always been in favor of accessible markets. All the manufacturers now have highly connected, multinational value chains right up to the final product. Around 75 percent of a car’s value-added is generated by suppliers – from many countries and with several upstream supply stages. We must therefore do everything we can to remove existing trade barriers and avoid new ones. We appeal for borders to become even more open. In the long term, efficient commercial production will be possible only if the global value chains can be used efficiently. This all benefits both employees at the facilities and the customers, who expect the most up-to-date products in high quality at economic prices – and also obtain them owing to the international division of labor. Because we want further increases in growth and employment worldwide, we support free trade and accessible markets. The necessity of this appeal for free trade is illustrated by the fact that at present the WTO lists more than 2,200 violations of principles of free trade. There is another important point. OICA works for the worldwide harmonization of technical rules. And it does so for good reason: in a worldwide automotive market it doesn’t make much sense for every individual region to have special technology requirements. Differing legislative standards and rules make the products more expensive, encumber business for the manufacturers, and do not bring any benefits for customers. When different rules are regarded as equivalent, they may then be mutually recognized, as is the case with free trade agreements, for example. The automotive industry is in a state of flux everywhere in the world. Electric mobility and digitization are changing this sector more than ever before. We are all adapting to this – manufacturers and suppliers alike. However this is not only about new technologies requiring high levels of investment. It is also about finding a new balance between industrial policy and environmental policy – not only in Europe, but in many countries. There is no doubt that OICA takes climate protection very seriously around the globe. All our members are working intensively on further reducing fuel consumption and with it the CO2 emissions from new vehicles. They invest heavily in research and development. CO2 reduction is a worldwide task for the automotive industry – in Europe just as it is in Asia and America. CO2 targets for 2021 vary greatly from one region to another. The European Union has by far the most challenging target: 95 grams. Japan has 105 grams, China 117 grams and the US 119 grams. Politicians should work worldwide for a coordinated approach. When it comes to CO2 regulation in particular, Europe should be aware of developments on other markets. Unfortunately this has not been evident to date. On the contrary: the European Commission has proposed a CO2 target for 2030, which envisages a reduction of another 30 percent. In addition, a binding interim target is proposed for 2025 stipulating a reduction of 15 percent. The EU proposal generates extreme challenges for the automotive industry. From today’s viewpoint it is more than doubtful whether these CO2 target values can be achieved, and this will depend crucially on the speed of customer uptake of alternative powertrains in the coming years and how quickly the public infrastructure is built. It is right that Europe should pursue ambitious climate targets. However, we note with concern that the EU is not discussing and coordinating regulatory requirements up to the end of the next decade with other regions of the world. People have similar individual needs for safety – and not only in road traffic – the world over, and equally similar interests in maintaining our natural life support systems. We therefore believe it to be expedient and necessary to have an internationally coordinated strategy across all continents for reducing CO2. CO2 emissions are a global topic – after all, they don’t stop at national borders. This continent must therefore not distance itself too much from other regions of the world such as the US or Asia. Conversely, should not the US and Asia be able to expect this of the EU? After all, on the one hand in international competition the European automotive industry bears greater burdens than its competitors. And on the other hand, the Europeans’ unilateral requirements for this common global challenge result in avoidable additional costs – that are ultimately borne by ordinary people, our customers. OICA therefore has the clear global goal of greater safety on all roads – this, too, is a worldwide goal. Digitization – all the way to connectivity and automated driving – makes a huge contribution to this, since 90 percent of accidents are caused by human error and only a small proportion is related to technical failure. Digitization, that is, connected and automated driving, supports, assists and warns drivers of hazards. It is a megatrend and is therefore also an important driver of innovation. For the associated tasks the companies also need new qualifications for their staff, and more specialists in IT and software. Many new employees have recently been hired in this field, and the companies’ expertise in these forward-looking technologies is expanding greatly. Of course these new technologies will not be implemented everywhere overnight. Yet it is clear that on the established markets – and especially in the metropolitan areas – digitization will arrive faster than we expect. Legislators all over the world now have the task of beginning everywhere to create the regulatory foundation for the wide-scale introduction of new technologies. This must be aligned with economic development and expansion of the infrastructure. These technologies will thus gradually become established around the globe. And that is what is important, in particular to benefit human beings. Because we want to improve road safety everywhere, we have to prepare the way for digitization worldwide. The automotive industry remains a growth sector. The global automotive market continues to grow. Production of passenger cars and commercial vehicles is rising. We currently see many political uncertainties in many countries worldwide. At the same time, the global automotive industry faces huge technological challenges such as climate protection, electric mobility and digitization. We need a smart balance between climate protection, and economic development and employment. In some countries the automotive industry has to cope with a large number of trade restrictions. We must reduce protectionism and planning uncertainties because they make people’s individual mobility more expensive unnecessarily. We expect tougher competition worldwide. New players are appearing in the automotive value chains with new suppliers and new providers of other mobility services. 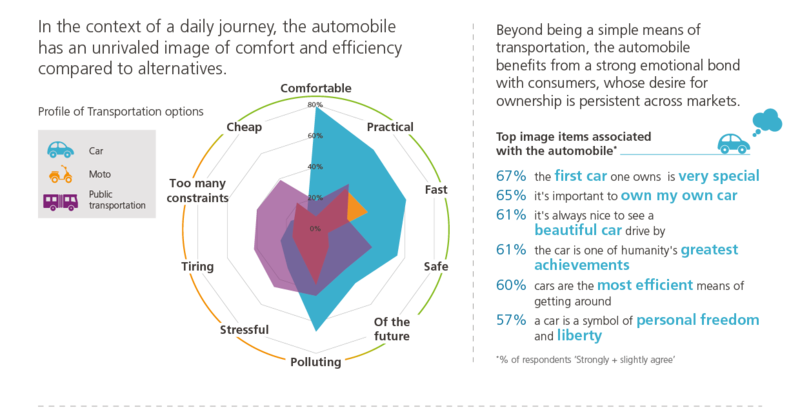 The demands placed on the mobility of the future are changing, and they are more differentiated than they used to be. However, we are certain that the automotive industry will master these challenges with its huge drive for innovation and its outstanding employees. However, policymakers should also take action: they must strike a new balance between industrial and climate policy. Environmental targets and growth targets should be given equal priority and pursued at a global level. And politicians in all our OICA countries must be guided by the knowledge that accessible markets and free trade are essential to growth and employment. Paris, October 17th, 2017: during the OICA General Assembly in Indonesia, Matthias Wissmann, OICA President, underlined the positions of the participating national vehicle associations that “electric vehicles offer an important alternative to internal combustion engines (gasoline and diesel), however it is not the only solution on a global scale“. The present is full of uncertainty about the future of conventional technologies. Any technology ban is definitely the wrong way to achieve a balance between industrial policy and climate protection. We must be open to technology. 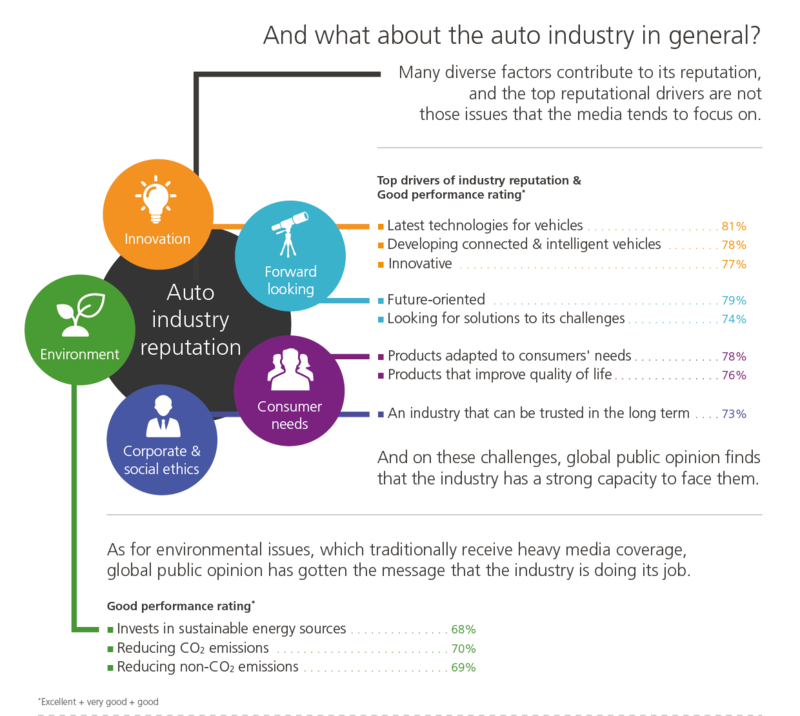 That means the global automotive industry needs to pursue a technology-neutral approach. OICA is the global association of motor vehicle manufacturers, with 39 members from all continents. The members are all associations and include the ACEA. All the large OEMs and brands from the European countries, Russia, the US, China, Korea, Japan, India are represented in OICA by their national organizations. The OICA General Assembly, hosted by GAIKINDO, the Association of Indonesia Automotive Industries, discussed the future of individual mobility, in the light of digitization and especially some political aims to stop the internal combustion technology and replace it with all-electric propulsion.